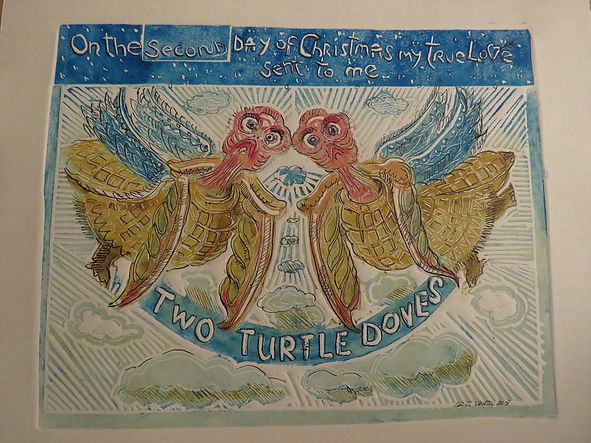 The Twelve Days of Christmas by Colin Veitch is our December exhibition – and depicts the Twelve Days as you’ve never seen them before! Do come along and view Colin’s witty interpretation of this special season when even Brexit gets a mention. All items are for sale and make a perfect seasonal gift (calendars and cards of the works also available). Admission free.